God does not leave anything unfinsihed. At the begining of creation when God completed a task He looked at it and said it was good. And God called the dry land Earth, and the gathering together of the waters He called Seas. And God saw that it was good. When God created man, He gave him a home in the Garden of Eden, but the Lord said that it was not good that the man is alone. So, the Lord created Eve from the ribs of man and together they were good. After the compltetion of a project you can rest and enjoy it. So it is with God. When Moses completed writing the book of the law, he placed it in the Ark of the Covenant as a memorial to the children of Israel (Deuteronomu 31:24-27). When King Solomon completed the temple of God, he dedicated it to the Lord with prayer and thanksgiving, and the Lord sanctified it (2 Chronicles 6&7). The Lord will definitely restore you to your original self after He has healed you completly (John 7). He will restore all the years that the enemy had stolen from you. After a set time of judgment for disobedience, the Lord will completely restore you to your original position. 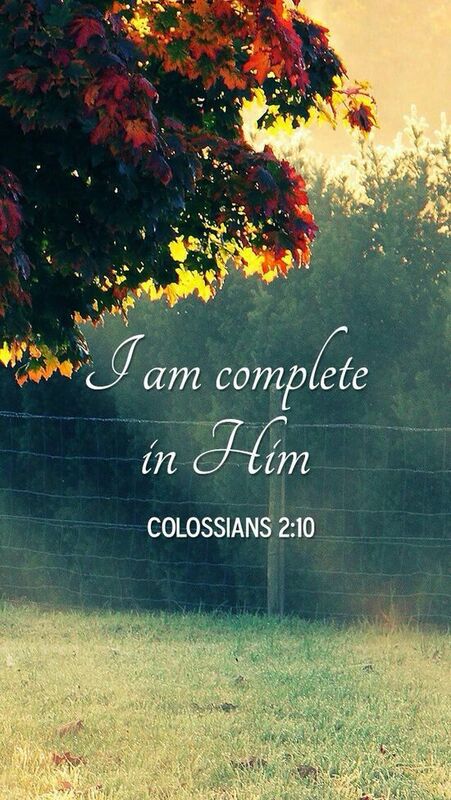 When you are complete in God you will not lack anything. 7. Thoroughly equipped with the Word of God. These are the blessings that you will receive when you are complete in God. The Shocking Truth About God’s Requirements To Become An Effective Leader.